just wanted to thank you for taking the time to talk hardware in the middle of all your work - even if you said you enjoy talking about it! I bought a new rig, I first had a Xeon rig in mind but settled with one pretty much like yours. Even the leap from 24GB ram to 32GB does wonders (was gonna go for 64GB but they had only one kit ready), let alone the computing power compared to my old i920! So yeah, thanks, your posts were informative. I love your new renders.. you seem awful busy and it's obvious you are a perfectionist - keep on posting and don't burn yourself out! I am glad you're happy with powerful computer, it does make a night and day difference to comfort of work :- ). Ah, we did first 3 hours of teaching. Oh boy, who would expect it would go so slow :- ) but it was awesome experience. But I don't blame them, getting around the very basics of Max, the cursed SNAPPING is indeed a nightmare. But learning proper habits go long way in getting hang of things. I think next week I will chime in and show some speed-modelling in Max to show the true flexibility and robust workflow so they don't all go back to Sketchup :- ). (funky stuff, it took me 6 months...to get completely away from Sketchup, which I loved but it started to be burden to more complex and clean stuff I needed to do, pure SubDivision modelling and quad topologies, but Veronika started straight with Max, and up to this day, is still 2-3 times faster, because she is wired much more with the poly modelling logic). But since we got so little ahead, it's not problem to re-record in like 10 minutes for Veronika in english, do some basic subtitles and upload to youtube, once she has bit of time to get around Camtasia. This is the time when our special secret, my brother, and IT maniac, comes on scene and handles affairs. I ain't got no nerves for that. I've cleaned this thread of unnecessary tests and render settings. No one will be confused further, and everyone will be happy. I won't post any further either and take break. oh for fucks sake... what did just happen? I am to lazy to go back and try to find out who insulted whom. lol, I think all is just fine ;- ) But I will not post things that will create controversy and ridicule for anyone. Now I cleaned things up a bit, so nothing can be argued about, anywhere and I think it's for better. There is beautiful new inspirative project by Bertrand and I think it's worth more to go admire it than continue discussint this on forum. He's back to full architecture..and it's beautiful as ever. great and what is you machine. render times? Render times are long and machines are expensive :- ) Check few pages back, they are regular i7 3930/4930k, few of them, it's budget scenario for now. If anyone was bored and wanted to watch something educative, we already started posting the videos online, but for now, they are in slovak language. They will be re-voiced fully in english after they are all complete, in early February. By that time, there should be around 20 videos and around 20 hours of free material. We create them and publish them after our Friday's classes at Uni are over, so far there are 2 basic modelling videos. Just wanted to put it up in case some slovaks/czech/people who don't care about voice would look it up. We'll supply full files for every stage by then too, right now, if someone wants the Cad files, just write me or maybe I'll post a link. 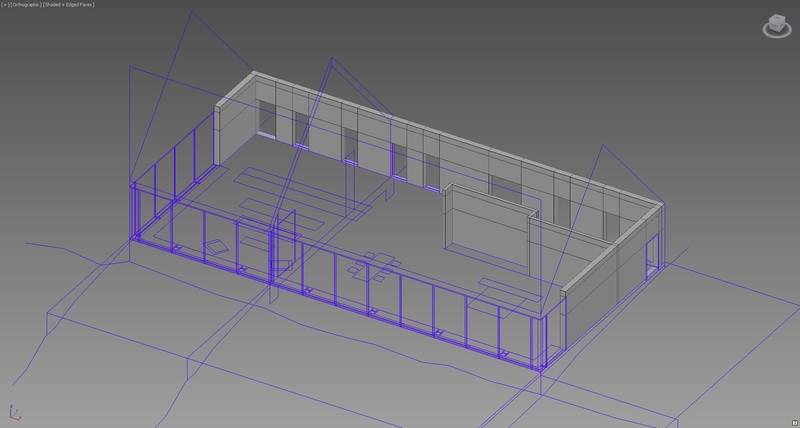 It's just basic stuff Veronika drawn in AutoCad to simplify it. At the moment it's only HD1280px, but english version will come on my VimeoPro so it will show in its original fullHD quality. Thanks a lot Veronika and Juraj, you are the best ! You guys rock. Have a great weekend! Haha,I'll tell her, she's extremely self-consious about her voice. Might have to buy more wine.